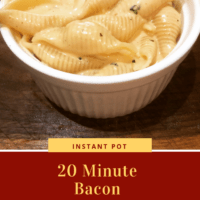 I love utilizing my instant pot for meals, side dishes and desserts. I’ve rounded up 10 Must Make Instant Pot Side Dishes that are popular at our house, and just a little different. 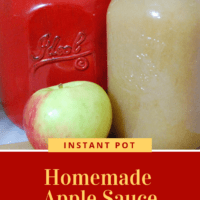 When all the Fall veggies and fruits come out it is the perfect time to start using my instant pot. I have found that I keep adding to my list of recipes and then adding new gadgets to my instant pot. I am listing my 10 Must Make Instant Pot Side Dishes and some of my favorite instant pot gadgets in this article. So find your favorite and test it out! There are some excellent Thanksgiving Side dish options here too. If you are asking a crowd of people to name off their favorite food there is a good chance you’ll get a hand full of votes for both bacon and mac n cheese. So why not combine them to make the ultimate fall make ahead meal, Bacon Mac n Cheese. When you can make a comfort food this good in only a matter of minutes you know you’ve found something great. You’ll probably be making this one a lot so grab an extra pot for when one is in the dishwasher. What an easy but delicious side dish to serve with any meat dish. It is so creamy and flavorful with the mixture of cream cheese, bacon and Parmesan that this Creamy Bacon Brussel Sprout recipe will be a new go to side dish. 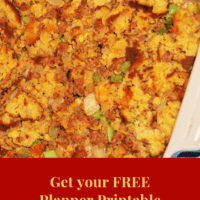 A low carb, low calorie recipe that fits the keto diet plan. This Pressure Cooker Cauliflower Souffle is so fun to make and presents well on any table. The combination of eggs, asiago cheese chives and scallions with cauliflower makes such a flavorful dish. Top it with bacon and it melts in your mouth. Getting that casserole dish out can be tricky without having the souffle fall, these silicone bands are a lifesaver. 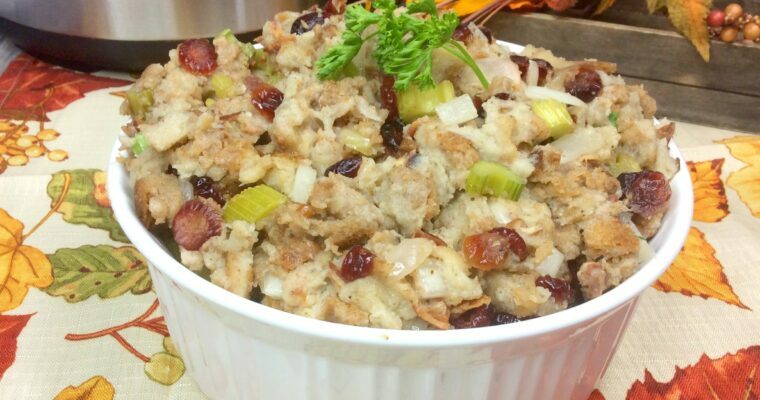 Good stuffing can make or break the Thanksgiving in our house. It’s that one dish my family expects to see on the table year after year. 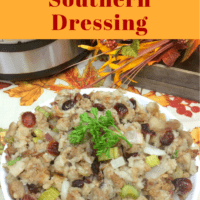 I found a way to make that Southern Dressing we all love without taking up that precious Thanksgiving Day oven space. It’s even a great make ahead Thanksgiving side option. A great Mexican Rice as a side dish is delicious and goes well with any meal. The onions, tomato, garlic and cilantro make such a tasty dish and the jalapenos can be adjusted to the amount of spice you like. Buy up all the apples you can get you hands on this fall. 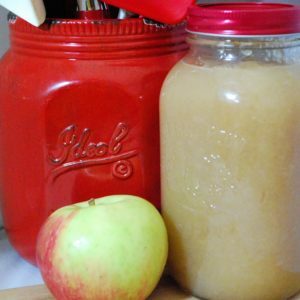 This Instant Pot Applesauce recipe has changed the game forever. The key is using both sweet and tart apples to get an incredibly balanced flavor. I really like the fact that it uses the cinnamon sticks rather than just dumping it in. The flavor is still there without turning the whole batch that brown color which I am not that fond of! 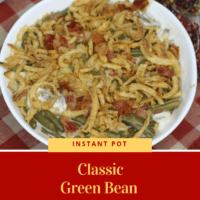 This Southern Style Green Bean side dish is amazing with a slight kick of heat from red pepper flakes or your favorite hot sauce. The bacon infused broth with onions adds such a burst of flavor. This one works really well as a make ahead Thanksgiving side. You can just pop a glass lid on top of the inner pot and toss in the fridge. This one comes from a great food blogger who’s cookbook is on my Christmas wish list! 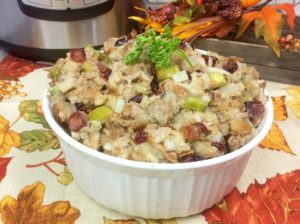 So this is a great Fall dish or a Thanksgiving dish. I love the idea of a filling in a casserole but still the traditional marshmallows on top. This Instant Pot Sweet Potato Casserole has a creative filling of grape nuts and brown sugar which you have to try because it melts in your mouth. Once you get comfortable with your Instant Pot you’ll be using it often. The silicon sealing rings do absorb odors, getting a sweet and savory set eliminates that issue. This cheesy cauliflower dish has an amazing taste and is easy to make. I love the sharp cheese flavor melted all over the cauliflower. 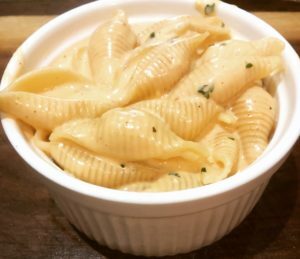 This Instant Pot Low Carb Keto Cauliflower and Cheese dish will become a family favourite. I love making a great chowder to go with sandwiches or a special bread on a chilly fall night. This Creamed Corn Chowder is amazing with garlic, corn, cream and the secret ingredient is bacon. The whole family will dig right in to this one. It is absolutely hearty enough to be considered a side or full meal. What is more fall like than Spaghetti Squash? 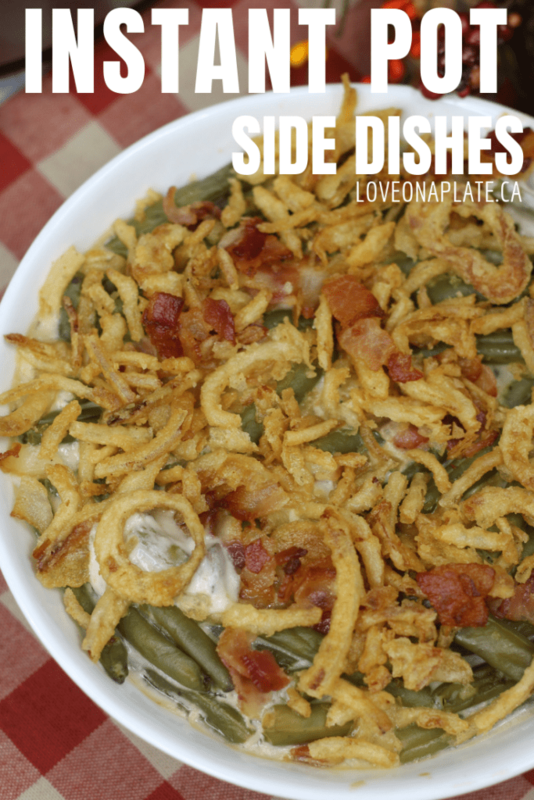 I love this side dish and utilize it for many things. 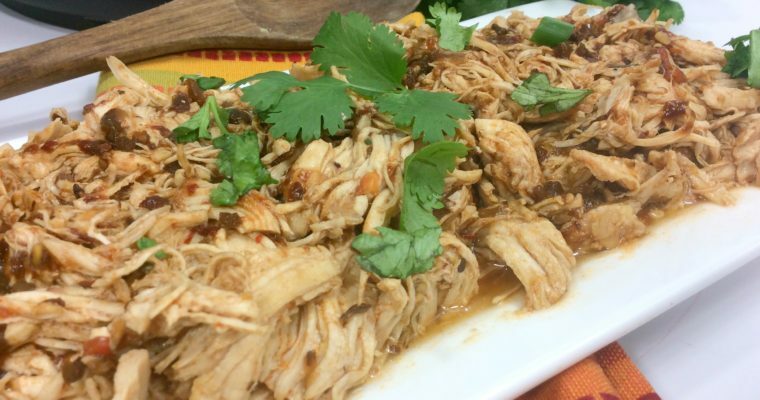 It cooks so quickly in the instant pot that I can make it at the last minute. It’s an excellent low carb option. Artichokes cooked in the instant pot turn out so flavorful and tasty. The meat inside the petal is amazing tender with this cheese recipe. So give the Instant Pot Stuffed Artichokes a try and don’t turn back. I hope you enjoyed looking through my selection of 10 Must Make Instant Pot Side Dishes. 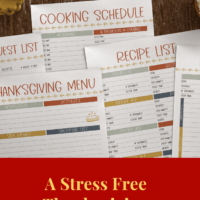 You can also find a great selection of Thanksgiving recipes and resources over on my Thanksgiving page, take a quick peek, you won’t be sorry. Of course, if you want more great recipes and fun Quick Cook Videos join our Facebook Group; Love on a Plate it’s a great resource for getting family favourites with a bit of a twist on the table, that you’re family is sure to love.